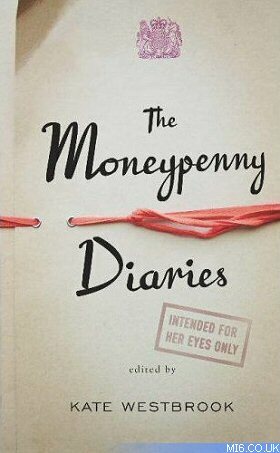 The Moneypenny Diaries is a trilogy of novels chronicling the life of Miss Moneypenny, M's personal secretary in Ian Fleming's James Bond series. 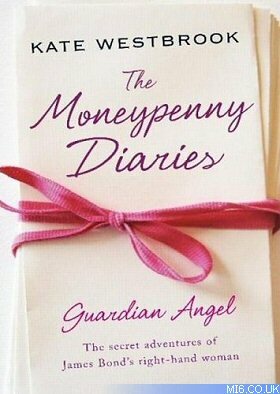 Dr Kate Westbrook is the editor of The Moneypenny Diaries. 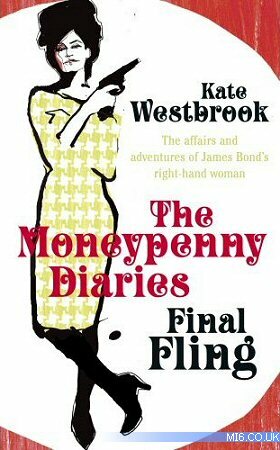 Ten years after the death of her aunt, Jane Moneypenny, Kate inherited an extraordinary legacy: the journals that show that Ian Fleming's novels are far from fictional... Kate Westbrook is also the pseudonym of award-winning Moneypenny Diaries author Samantha Weinberg, who has worked extensively as a journalist in South Africa and the UK. She is also the author of several internationally best-selling works of non-fiction, including "Pointing From The Grave", which won the 2003 CWA Gold Dagger for non-fiction. The first diary fills in the gaps between a number of agent 007's missions including the period between On Her Majesty's Secret Service and You Only Live Twice, but also includes an entire backstory for Moneypenny and is centred around the Cuban missile crisis. "My heart breaks for James" - so begins the explosive, true, private diary of Miss Jane Moneypenny, Personal Secretary to Secret Services chief M and colleague and confidante of James Bond. 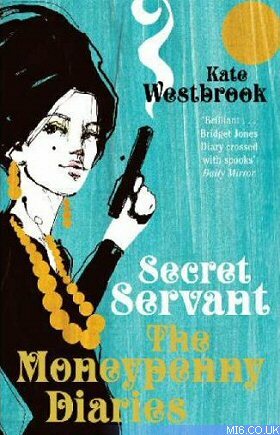 From her colonial childhood in Kenya to her death in 1990, Jane Moneypenny led an extraordinary, clandestine life. Positioned at the heart of British intelligence she had a ringside seat at the political intrigues that shaped world history. But, contrary to popular belief, she was not simply a bystander while James Bond saw all the action. As her diaries make startlingly clear, Miss Moneypenny played a central role in the build-up to the Cuban Missile Crisis and the threat of all-out nuclear war. But a life of espionage has personal as well as political ramification. For Jane Moneypenny the price was high. Romantic relationships were necessarily built on lies - sometimes on both sides - and you could not trust the motives of anyone. The impact of Jane Moneypenny's career on her emotional life was even more profound as, with her access to classified information, she began to investigate the mysterious circumstances of her father's presumed death while in service. Jane Moneypenny is tasked with her own mission surrounding the defection of Harold Adrian Russell 'Kim' Philby. The action takes place through London, Berlin, Moscow, Leningrad and Helsinki. In order to write the book Weinberg met up with ex Secret Service agents and even traveled to Moscow to meet Kim Philby's widow. Artist Stina Persson designed the "Secret Servant" paperback, and the "Final Fling" hardcover using a retro 1960's style. 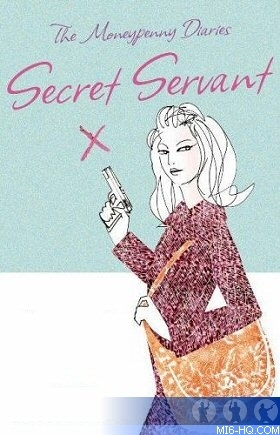 From saving spies to private passions - the secret adventures of James Bond's right-hand woman, Jane Moneypenny may project an image of chic, sophisticated poise but her secret diary reveals her other side. In the grip of an uncertain love affair and haunted by a dark family secret, the last thing she needs is a crisis at work. But the Secret Intelligence Service is in chaos and her beloved James in danger. Only a woman's touch can save them. Moneypenny soon finds herself embroiled in a highly charged adventure infused with the glamour of the Cold War espionage game. 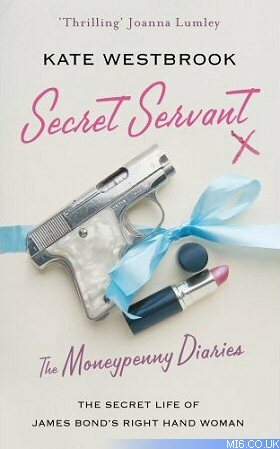 Alone on a dangerous Russian mission she turns, with breathless intimacy, to writing a explosive private diary. Locations for the final adventure include Jamaica, the Outer Hebrides, Cambridge, and London. The storyline will be almost evenly divided between the adventures of Miss Moneypenny and the modern adventures of editor Kate Westbrook. Miss Moneypenny projects a cool, calm and collected image, the personification of chic sophistication and unflappable poise. She handles her cohort of 00 agents with good-humoured grace. She is professional and precise yet there is always the feeling that there is more to Jane than meets the eye. Indeed, it is time to move over James Bond! For now one of our sassiest and sexiest female icons, has been given a far larger role of her own. 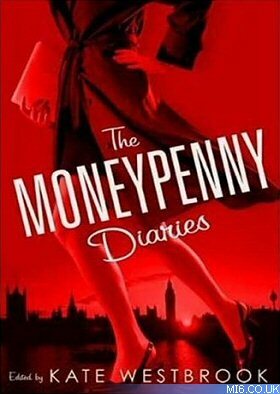 Jane is equally daring and dastardly, as this third and final book in The Moneypenny Diaries series reveals. Forty-two years later, Miss Moneypenny’s niece and heir, Kate Westbrook, starts to suspect that her aunt’s death was no accident. She is sure the clues to what happened lie in the search for the mole. As she pieces them together, however, she realizes that there are significant forces who are determined to prevent her finding the truth. From the glamour of 1960s Jamaica to the treacherous beaches of the Outer Hebrides, "Final Fling" reveals just how far people are prepared to go to defend – or betray – their beliefs, and relates the life and death, and surprising final love, of the world’s most famous fictional secretary. Published in the November issue of Tatler, the short story tells the tale of a weekend shared between Bond and Moneypenny at Royale-les-Eaux (see Casino Royale) in 1956. Published in the November 11, 2006 issue of The Spectator, the short story tells the tale of Moneypenny's and James Bond's first meeting.